I came across this on ‘The Daily Beast’, and found it interesting, so I’m passing it on. In spite of becoming an Ottoman Pasha, the nearest he got to the imperial capital, Istanbul, apparently, was Albania. Nevertheless, he seems to have been a quite protean character. 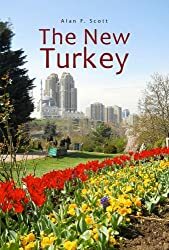 The story of Mehmed Emin Pasha, born a Jew as Isaak Eduard Schnitzer and Baptized as Eduard Carl Oscar Theodor Schnitzer, is a multiculturalist’s delight. This Jewish doctor who turned Christian, then Muslim, could be the cosmopolitan poster child, proof that we are all one and that distinctions don’t matter. But universalists beware; this pasha was no Zelig, fitting in chameleon-like at colorful historical moments. This shapeshifter adapted smoothly but stood out boldly, proving that the best way to contribute to the world is to root identities in particular cultures and act on core ideals. Schnitzer was born in Oppeln, Silesia on March 28, 1840, into a German Jewish family that had already broken from the ghetto’s provinciality. Schnitzer’s father was a merchant, a proper German burgher wannabe. He embodied the Enlightenment delusion that we could, as John Lennon would sing, “all live together as one.” But Schnitzer’s father had made the classic Enlightenment deal with the devil. To become emancipated, to prosper, most Jews felt compelled to abandon much of Judaism—even though they would only be accepted marginally as Europeans. Schnitzer was derailed temporarily when he failed to file his licensing paperwork on time and could not practice medicine. Ever-resilient, he left for Istanbul. Arriving in Antivari in Montenegro along the way, he resumed his medical practice far away from German supervision. One of those annoying Europeans with a genius for language, he mastered Turkish, Albanian, and Greek, along with many of the standard Romance languages. This poly-lingual environment so suited him, he became the port’s quarantine officer, processing immigrants. Always climbing, Schnitzer charmed his way into working for northern Albania’s governor, Ismail Hakki Pasha. In perhaps his creepiest move, Schnitzer returned to Germany in 1873, after his boss died, claiming the widow and children as his wife and kids. That arrangement ended abruptly, mysteriously in 1875, leading to Schnitzer’s plunge into the Muslim world. The Sudan was roiling, with the messianic, Arab-African Mahdi Revolt of 1881 causing chaos. In 1885, Emin’s popular dispatches to European newspapers described his adventures. The next year the Ottoman Empire made Emin a pasha, confirming his prominence in North Africa and Western Europe. In 1890, Germany hired Emin Pasha to launch his own expeditionary force around Lake Victoria in East Africa to “make known to the population there that they were placed under German supremacy and protection, and to break or undermine Arab influence as far as possible.” German imperial politics, tensions with the native soldiers, and bouts of disease beleaguered him for two years until the Anglo-German agreement of July 1, 1890 ceded this territory to England. Ultimately, Emin’s Western idealism did not suit East Africa. In late October 1892, two enraged Arab slave traders murdered him. Read the whole article. This entry was posted in Albania, Jews, Muslim, Ottoman Empire and tagged multi-culturalism. Bookmark the permalink. ← Who Hijacked the Left? Armenians?